she can’t do anything to stop it. The two murderers drive away, and Kendi hurries to the man who has been shot. But he’s not dead—only beaten within an inch of his life. Now, Kendi faces the biggest decision of her life—does she leave him exposed to the elements until an ambulance can get there? Or does she take him back home with her? No matter what she does, he’s demanded that she not call 911, telling her if she does, both of their lives could be in danger. Close to two and a half years later, I pulled it out and began to work on it, to get it finished, and then to edit the finished product. 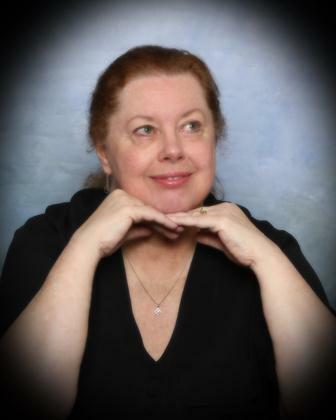 I submitted it to The Wild Rose Press, and my wonderful editor there, Lori Graham, was as excited about it as I was. Though we finished the edits on it and had it ready to go by early spring, the release date was not set until October 24, 2012. Finally the day arrived…and none of my “buy” links were live at Amazon, Barnes and Noble, or any of the other sites. I wanted to cry. But within another 48 hours most of the links had gone live, and it only meant putting off my announcement of my release date for a short time. Blurb: When Kendi Morgan stumbles upon the victim of a would-be murder, she has no choice but to help him back to the safety of her home. Wounded DEA agent Jackson Taylor is a man with nothing to lose and nothing to fear. Can their newfound love survive as they are targeted by a powerful drug lord seeking revenge? My first venture into contemporary romantic suspense, SWEET DANGER, is also available at Amazon and B&N. When I started painting lessons, the first scene I created was of a windmill at sunset. No, not original, but I love both windmills and sunsets. Although they’re difficult to find now, I love the old wooden frame style structures best. The land on which we live had a metal windmill, now down for repair due to a rude tornado that tore through the orchard. That part of our land has been sold to a neighbor, so it’s no longer our problem. I definitely miss looking out the window and seeing the windmill, though. Over 80,000 working windmills are estimated to be working now in Texas. You can’t drive on any road without seeing them in the distance. They are of particular service to ranchers in the arid regions. Land that once was almost useless to ranchers became valuable once windmills were erected. 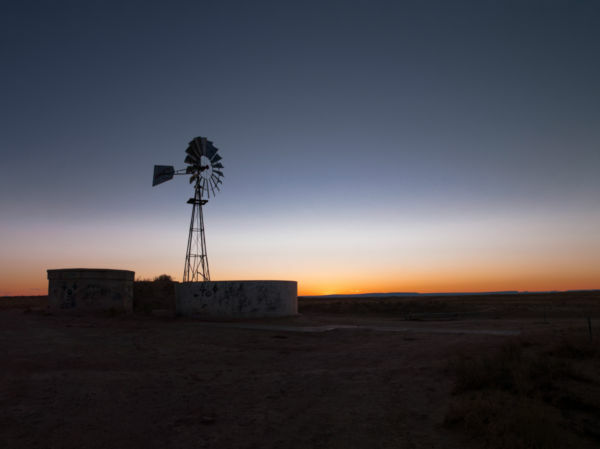 The windmill has come to be one of the symbols of ranching and cowboys. Once I started researching them, I was surprised the type I have come to love was not as old as I’d suspected. Before the introduction of windmills to Texas and the West, inhabitable land was confined to areas where a constant water supply was available. There was no way for vast areas to be settled without a life-giving supply of water. The coming of the windmill made it possible to pump water from beneath the ground, and soon whole new areas were opened up to settlers. The first windmills were of the European style, built by Dutch and German immigrants for grinding meal and powering light industry. What settlers needed most, however, was a windmill that pumped water. Because of its bulk and need for constant attention, the European windmill was impractical for this purpose. The solution to this problem came in 1854, when Daniel Halladay (Hallady or Halliday) built the first American windmill in Ellington, Connecticut. He added to his mill a vane, or "tail," as it was called by cowhands, that functioned to direct the wheel into the wind. The wheel was a circle of wood slats radiating from a horizontal shaft and set at angles to the wind, designed so that centrifugal force would slow it in high winds; thus, the machine was self-regulating and operated unattended. Its simple direct-stroke energy converter consisted of only a shaft and a small fly wheel to which the sucker rod was pinned. This compact mechanism was mounted on a four-legged wood tower that could be constructed over a well in one day. Railroad companies immediately recognized windmills as an inexpensive means of providing water for steam engines and for attracting settlers to semi-arid regions through which they planned to lay track. By 1873 the windmill had become an important supplier of water for railways, small towns where there were no public water systems, and small farms. Many of the very early mills were crude, inefficient, homemade contraptions. One of the popular makeshift mills was a wagon wheel with slats nailed around it to catch the wind, mounted on half an axle. The axle was fastened securely to a post erected beside the well. A sucker rod was pinned to the edge of the hub. It was stationary and worked only when the wind blew in the right direction. The windmills used later on the big ranches were the more dependable factory-made windmills. Windmills moved to the ranches when the use of barbed wire began in the late 1870s. At first the water holes, springs, creeks, and rivers were fenced, so that the back lands had no access to water. In the midst of the ensuing fence cutting and fighting, some ranchers began drilling wells and experimenting with windmills. Most of these experiments were unsuccessful, however, due to lack of knowledge concerning the proper size of the windmill in relation to the depth and diameter of the well. One of the earliest successful experiments was made eight miles north of Eldorado, in Schleicher County, Texas by Christopher C. Doty, a nomadic sheepman. Doty moved his flock into that area and found abundant water in shallow wells. By 1882, however, a drought had dried his wells; he ordered a drilling rig from Fort Scott, Arkansas, bored a fifty-two-foot well, and erected a Star windmill, which successfully supplied water for his 4,000 head of stock. Which reminds me that my uncle was a dowser, or water witch. According to my mother, Uncle Ray was never wrong and could always locate the best place to drill a well. And that's a good thing, because he farmed in West Texas. Dowsing is an innate talent, but supposedly can be learned by sensitive people. Dowsers are still around and the late husband of a friend was able to dowse for water. 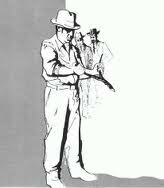 Neither my uncle nor my friend's late husband charged for their service because they believed dowsing ability was a God-given gift. Watering stock with windmills spread rapidly. Eastern land speculators began buying, fencing, and running stock on the land until it became ripe for colonization. Among the first of these speculators to indirectly bring windmills to North Texas was the Magnolia Cattle and Land Company, organized by Maj. Willa V. Johnson. In 1884 the company bought two-thirds of the state-owned land in Borden County, land which had natural water resources and had long been unofficially claimed for grazing by Christopher Columbus Slaughter. When Johnson fenced the land, Slaughter was forced into the use of windmills to supply water for his cattle. By 1886 the Matador Land and Cattle Company began using windmills to water stock. is labeled as a bunkhouse. The largest of the Eastern land speculators, the Capitol Syndicate, began using windmills on its XIT Ranch in 1887. One of their windmills was believed to be the world's tallest; it was made of wood and was a total height of 132 feet. A Texas historical marker at Littlefield marks the site of a replica of the world's tallest windmill built on the XIT Ranch. The original windmill blew over in 1926. By 1900 the XIT had 335 windmills in operation. Not until the King Ranch began extensive use of the windmill in 1890 did that the practice began to spread rapidly over that area. By 1900 windmills were a common sight in the Texas and the West. Inhabitable land was no longer limited to regions with a natural water supply. The windmill made the most remote areas habitable. The use of windmills brought about two of the most colorful characters of the West, the driller and the windmiller, and altered the lifestyle of another, the range rider. 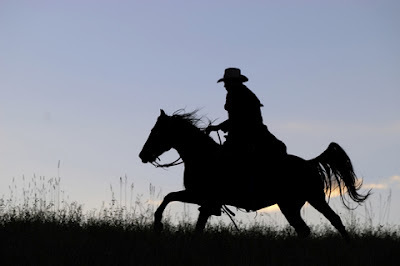 The driller was usually a loner and seldom seen by anyone except the range rider and windmiller. He followed the fence crews and guessed at where he might find water, then bored wells with his horse-powered drilling rig. When the driller was successful the windmiller followed and set up a mill. Owners of the larger ranches usually employed several windmillers to make continuous rounds, checking and repairing windmills. 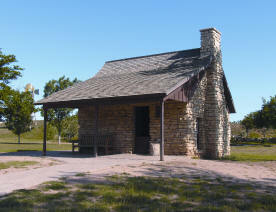 The windmillers lived in covered wagons and only saw headquarters once or twice a month. The early mills had to be greased twice a week, and this was the range rider's job. He kept a can (or beer bottle) containing grease tied to his saddle. When he rode up to a mill that was squeaking, he would climb it, hold the wheel with a pole until he could mount the platform, and then let the wheel turn while he poured grease over it. The range rider was always in danger of attacks from swarms of wasps, which hung their clustered cells beneath the windmill's platform; there was the added danger of falling from the tower when such attacks occurred. The windmill industry's shift in 1888 to the backgeared, all-steel mill caused heated debates in Texas livestock and farming circles. Most ranchers and farmers welcomed the new steel windmill because its galvanized wheel and tower held up better in harsh weather; also, its gear system was better able to take advantage of the wind, thus enabling the windmill to run more hours per day. The backgeared mill could also pump deeper and larger-diameter wells. Those who favored the old wood mill argued that the steel mill was more likely to break because of its high speed, that it was not as easily repaired as the wood mill, and that when parts had to be ordered the steel mill might be inoperative for days. Though sales of wood mills continued, they declined steadily, so that by 1912 few were being sold. The last major development in the windmill came in 1915. A housing that needed to be filled with oil only once a year was built around the mill's gears. This relieved the range rider of his biweekly greasing chores and somewhat diminished the windmiller's job. Because of the dependability of this improved windmill, worries over water shortages were eased for the rancher, farmer, and rural dweller. This mill was the prime supplier of water in rural Texas until 1930, when electric and gasoline pumps began to be widely used. Texas became the largest user of windmills in the United States.Windmills remain an important supplier of water for Texas cattlemen, as well as throughout the Western rangelands. The King Ranch in the late 1960s kept 262 mills running continuously and 100 complete spares in stock. Stocking spare mills is a common practice among ranchers who depend on the windmill to supply water for cattle in remote pastures. 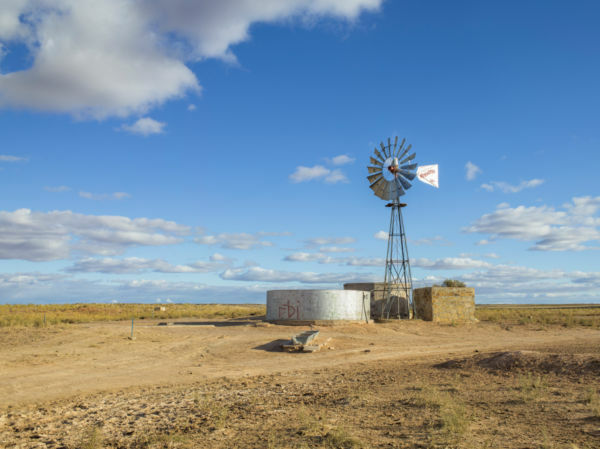 Because the windmill has been confined for the most part to remote areas, it has become a symbol of a lonely and primitive life, fitting for the pioneer Texans it first served and the cowboys about whom we love to read. And here's my Giveaway. 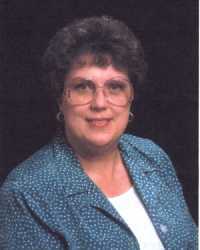 One subscriber to my CAROLINE'S OCCASIONAL NEWSLETTER will win a KINDLE FIRE 3G on December 15th. 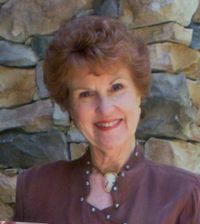 You can sign up at my website at www.carolineclemmons.com or at my personal blog http://carolineclemmons.blogspot.com. I'll repeat similar giveaways every few months plus have news of releases and other pertinent information. 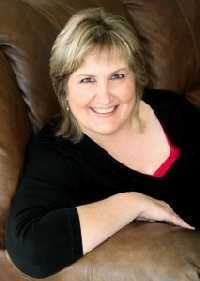 Please follow me on Facebook, Twitter, Pinterest, WattPad and Goodreads. I hope you all had a wonderful Thanksgiving, and if you participated, a successful Black Friday. Today I thought I’d share how these days came to be. The term Black Friday started in Philadelphia due to the heavy pedestrian and automobile traffic that always occurred the day after Thanksgiving sometime around the early 1960’s and the term spread across the nation during the mid-seventies. Later, the alternate explanation about retailers finally turning a profit on that day came about. Opening early, at 6:00 AM or so was popular for many years, and in the 2000’s this had increased to 3:00 and 4:00 AM and then midnight. And as you know, the past two years it began to include stores opening on Thanksgiving evening and/or day. How Many Ways Can You Say "Happy Thanksgiving?" How do you say "Happy Thanksgiving?" I have a lot to be thankful for this year. Happy, healthy kids and grandkids top the list. 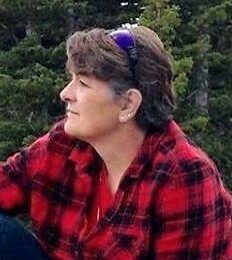 My own health took on a new twist, namely diabetes, but it’s under control, or getting there. Also, both hubby and I are losing weight. Yeah! 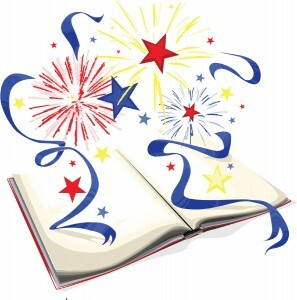 On the writing front, my book sales are much better than last year. I’m very thankful to my readers for that. Please be patient with me for a while longer. Book three in the Texas Druids trilogy is coming in March. I promise! 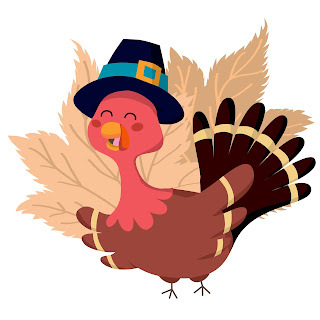 I’m also thankful for all the wonderful friends I’ve met in the author community, here on Sweethearts, over on the Cowboy Kisses site, on Facebook, twitter, and in the Yellow Rose chapter of RWA. As a small thank you, I’m sharing a couple of my favorite recipes. For obvious reasons, these are low fat and sugar-free treats, but they’re tasty. My husband loves them! 1 cup crushed no-sugar-added pineapple, not drained. Mix dry ingredients; beat eggs and vanilla together, add to dry mix (will be very thick); stir in pineapple. Spray skillet or griddle with Pam, cook over low heat. Makes 8-10 pancakes. Follow directions on pudding pkg. and let cool partially. Fold in pumpkin; add spices and Splenda. Stir all together and divide into 4 dessert dishes. Chill or serve warm as you prefer. Add dollop of low-fat whipped topping to each serving if desired. May you be blessed with good health, family and love. A touch more about history. It wasn’t until Franklin D. Roosevelt declared the 3rd Thursday of every November Thanksgiving that Americans celebrated a yearly holiday. His reason for deciding on the 3rd Thursday was a wee bit mercenary. He wanted to kick off the Christmas shopping season. Keep in mind that this decision took place in the midst of the Great Depression. Like now, people were hurting financially and businesses were suffering. 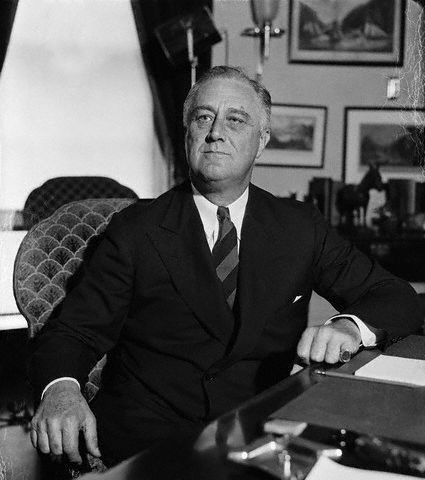 President Roosevelt was attempting to ignite the economy. It worked in some ways and there is still the tradition of “Black Friday” (so named because it is hoped to put finances from red into the black) in which Americans kick off the Christmas shopping season. Now let’s talk about food. Only in modern times has the turkey taken center stage on the Thanksgiving table. Earlier times would see just about any fowl or beast show up for that auspicious meal. Corn, pumpkin and other harvested items would have been on the menu along with braised bear meat, venison or dried beef, but candied sweet potatoes with marshmallow crème and other present day traditional side dishes would have been absent from early Thanksgiving tables. So much for pumpkin cheesecake, too. In my childhood, my parents tried making alternative Thanksgiving feasts. One of them was a Yankee Pot Roast which was a total disappointment to me. Though my parents tried to convince us that, if the pilgrims could have chosen a meal, beef would have been at the top of their list, my sister and I remained staunch conformists. There has always been the fun of the family gathering together to share in preparing the food. 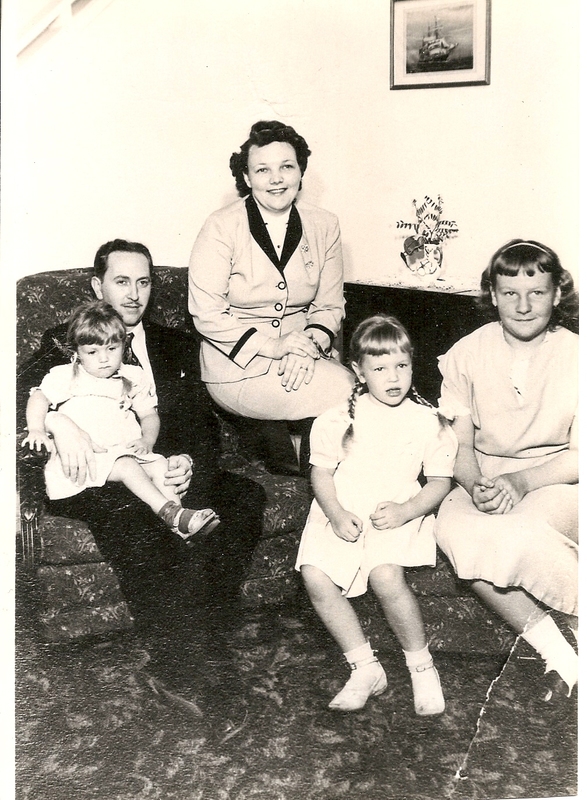 Sometimes our family was stretched from North Caroline to Pennsylvania to Nebraska, Texas and Washinton. So Thanksgiving could be very exciting when we all gathered from far and near. We sure had a lot to talk about and catch up on, but that was fun, too. Most families regardless of religion have their own Thanksgiving traditions including mine. After we get the turkey in the oven, we sit around the kitchen table to play board games for some fun while the air fills with the delicious aroma of turkey and pie. 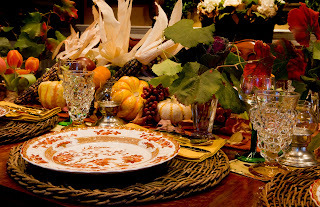 Once the turkey is ready along with all the fixings, we sit at the dining table set with the Azalea pattern Nortake china and silver flatware that has been passed down through the family from Grandmother McNeal. We go around the table sharing what each of us is grateful for, and then we say grace and tuck into our grub. I like the idea of the attitude of gratitude. Sometimes life seems overwhelming and not much seems to be going right for us, but it’s a good practice to stand back and have a bit of gratitude for what we do have—even if it’s only one day a year. 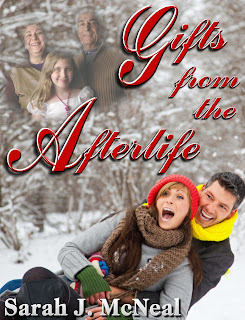 Once you’ve had your Thanksgiving dinner and the house quiets down, I hope you’ll consider reading my Christmas short, Gifts From The Afterlife from Victory Tales Press available for just $.99 at all online bookstores. Careful not to injure him with her elbows or knees, Lydia flattened her body against Austin's back. He felt warm and her position felt oddly sensual, even though they both wore several layers of clothes. She glanced over the top of the hill where they perched. The bottom seemed like a very long way down. She felt her nerves jangle at the prospect of flying down that hill. "You better not get me hurt." "That is the last thing I would ever want to do." He glanced back at her. "Hold on tight now." Next thing she knew, Austin had used his foot to shove them off the top of the hill. They hurtled down the slope at what felt like a hundred miles an hour. The cold wind bit into her cheeks and snow gathered in her hair. Filled with exhilaration, fear, and joy, Lydia clung to Austin like a monkey to its mama. Both of them let out bursts of laughter as they neared the neighbor's fence at the bottom of the knoll. "We're not going to make it, Austin. We're going too fast." Lydia's heart beat wildly against her ribs. He promised he wouldn't hurt her. He promised. "Trust me," he said in a calm voice. She wanted to trust him, she really did, but the fence seemed too close for him to stop. Then, all of a sudden, Austin turned the sled and both of them rolled off. He quickly turned his body to face her and gathered her up close as they rolled several times until they came to a stop in a bank of snow beside the fence. She still held on to him and clutched at his jacket for a few moments after they stopped. He peered down at her, his eyes darker than before and his expression changed from giddy to intense. She knew he was going to kiss her before his lips touched hers, and she didn't want to stop him. First of all, may this Thanksgiving season be filled with every good thing for you and yours! 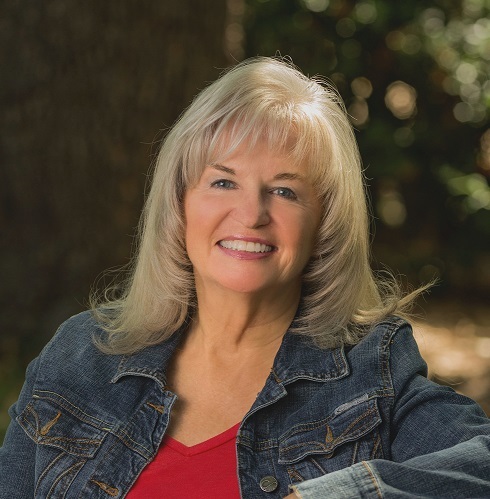 When my novella Hearts Crossing Ranch led to a contract for seven more books, I knew I’d have to stretch my imagination and my daily experiences to concoct stories about the eight Martin siblings of my fictional Colorado ranch. A ranch! Me, living on a cul-de-sac in a coastal California community surrounded by strawberries and avocados not horses and cows! With the first book set on a city slicker wagon train trip--similar to the one we took around the Tetons not long ago, I looked back on that breathtaking experience for more inspiration. And I found it in Heather, a severely disabled fourteen year old who went on the trip with her family. Unable to talk or stand or walk unaided, she nonetheless had the time of her life. 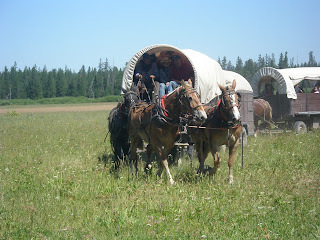 The last day, when wagon master Jeff put her on a horse for her very first ride, everybody cheered, tears running down our faces. She was the prettiest cowgirl ever. Somehow that moment stuck. 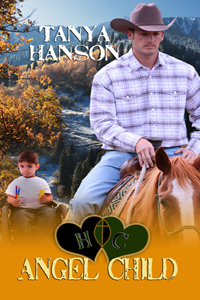 You’ll meet a disabled young girl in Angel Child, my upcoming release, who comes to Hearts Crossing for therapy riding lessons. Closer to home, though, is my twenty-something godson, born with the extremely rare, extremely debilitating Angelman Syndrome, who inspired fictional Creighton in the book. The disabled ten year old boy manages to steal Scott Martins heart as the handsome cowboy falls in love with Creighton’s mom...his former high school art teacher. Oh, who cares about the age difference? They’re grown up now. Mary Grace Gibson has returned to Hearts Crossing as a substitute teacher, and the scene below shows her dealing with a disagreeable student, Keith. I hope you enjoy Angel Child, my tribute to disabled kids everywhere and the people who love them. The power of forgiveness is a pretty big theme, too. I always seem to need a lot of that. Anyway, I hope you like the excerpt and blurb below. And make sure to have a wonderful Thanksgiving! Hot, living blood ran through his veins. Scott rushed to her, she to him. They met in front of the teacher’s desk, and he wrapped her tight in his arms against his beating heart. “Aw, Mary Grace,” he mumbled into her hair. Desire stabbed him straight in the gut, rich searing feelings that surged into love and made him tremble. OK, he could admit it now. Love. He could say the word inside his head. Love. Soon he’d get courageous enough to tell her out loud. He’d been smitten last summer, but these past days with her in his life, at his ranch, at his side whether on horseback or discussing the therapy program finally merged the physical with the emotional, and he knew full well what it all meant. “I didn’t like not getting to say goodbye last night. I missed you.” His arms tightened and they stood melded, both holding the other upright as Scott willed his love to wash over them both. “Ooooops. Sor-reee.” A whine split the air. Startled, they broke apart like a quick sword had sliced between them. He stood insolent, his sneer so wide Scott held back a swat. Beside him, Mary Grace’s flush turned snow white. 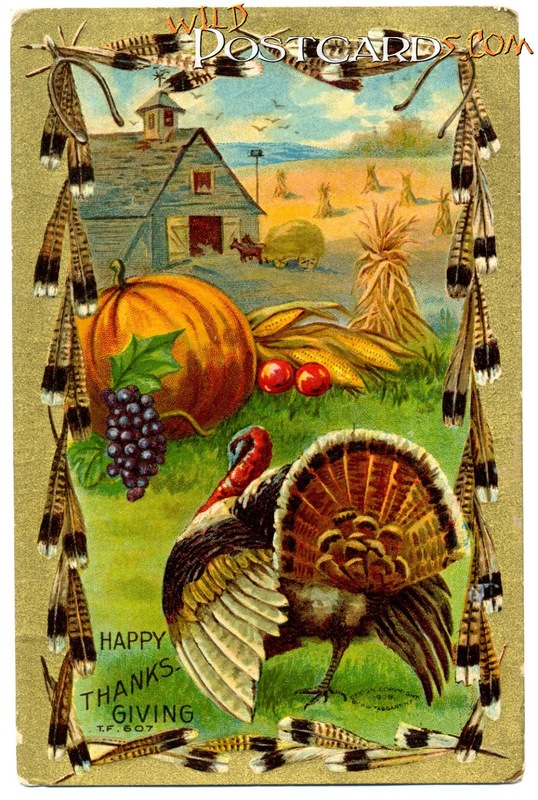 Most of us believe that the first Thanksgiving in America was held in Plymouth in 1621 by the Pilgrims to give thanks for surviving the previous winter and for the recent good harvest. However, celebrations of thanks had been taking place in the Americas for many years prior. 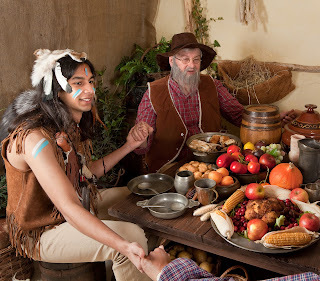 The Spanish held celebrations in the sixteenth century and areas of what would become the Commonwealth of Virginia had Thanksgiving services as early as 1607, with Jamestown holding their first celebration in 1610. But of course, it is the Pilgrims’ thanksgiving that we remember when we celebrate our Thanksgiving today. As many may have learned already, the foods that we traditionally serve today are not even close to what the Pilgrims (or other seventeenth century citizens) served during their feast. The three day Plymouth celebration included: geese, ducks, turkey, lobsters, oysters, clams, venison, corn (roasted, parched or soaked in maple syrup), cornmeal, johnnycakes, beans and squash. Slice squash in 1-inch thick slices; remove seeds. Arrange squash rings in 13x9x2 pan. Cover with foil. Bake at 350° till almost tender, 45 to 60 minutes. Meanwhile, in a saucepan combine brown sugar, butter , paprika, salt and pepper; cook and stir until bubbly. Spoon mixture over squash. Continue baking, uncovered, till squash is tender, about 15 minutes, spooning mixture over squash occasionally. Serves 8. In a bowl mix eggs, water, milk, lard and salt. Stir in cornmeal. Stir well before making johnnycakes. For each cake, place ¼ cup batter onto a hot, well-greased griddle, spread to ¼-inch thick. Cook till golden brown, 2 to 3 minutes per side. Serve warm with butter and syrup. Makes 12 to 14 cakes. President George Washington proclaimed the first National Thanksgiving in 1789. For the next seventy or so years, each president would or would not proclaim a Day of Thanksgiving, as they wished. 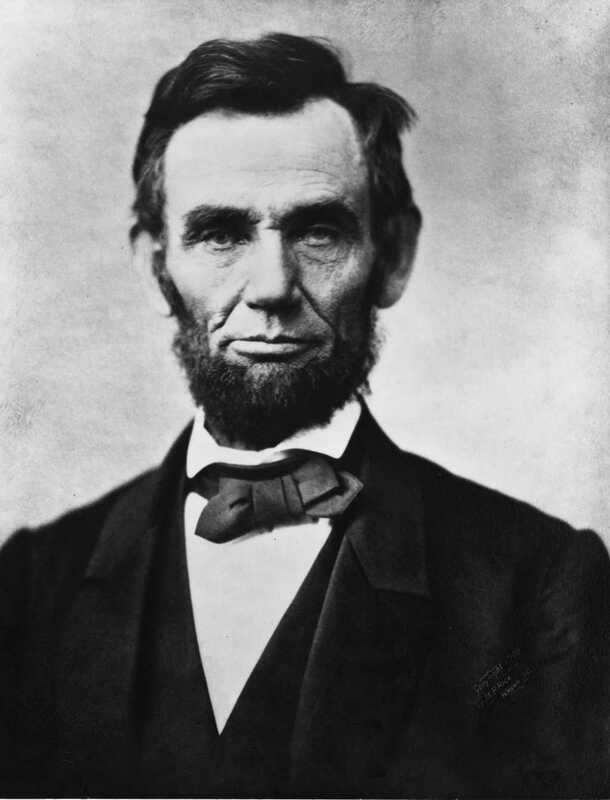 It did not become a national holiday until President Abraham Lincoln made a proclamation in 1863 declaring the final Thursday of November to be a national day of Thanksgiving. This proclamation tradition held true with successive presidents until Franklin Roosevelt. In 1939 there were five Thursdays in November, so he proclaimed the next-to-last Thursday as Thanksgiving Day, claiming the extra week of Christmas shopping would help the economy. At the time, advertising Christmas goods before Thanksgiving was considered inappropriate! This move, however, confused people and states, some of whom already had set celebrations (and football games) scheduled. Twenty-three states went along with the change, twenty-two did not and some states, like Texas, just celebrated both days. For 1940 and 1941, both of which had only four Thursdays, Roosevelt kept with his next-to-last Thursday for Thanksgiving. But the states continued to be confused and most celebrated it when they wanted to. In 1941, Congress decided to take charge and passed a bill making the fourth Thursday of November as the fixed date for Thanksgiving. This was most often the last Thursday, but every so often it is the next-to-last (as it is this year). Roosevelt signed it into law on December 26, 1941, effective in 1942. Some states still held it when they wanted to for several more years, with Texas not settling on the fourth Thursday until 1956. In 1947, The National Turkey Federation and the Poultry and the Egg National Board have given a turkey to the President of the United States at a White House ceremony. While recent speeches have credited Harry Truman with pardoning the first White House turkey, the Truman Library has no record of him doing so. President John Kennedy, when presented the turkey, said “Let’s just keep him.” However, the first official pardon took place in 1989 when President George H.W. Bush pardoned his turkey. Presidents Bill Clinton, George W. Bush and Barack Obama continued the tradition by also pardoning their turkeys. Fun Tid Bit: It’s estimated that 48 million turkeys are on the dinner table for Thanksgiving. Note: pictures are from dreamstime.com and belong to me. They should not be used without permission.